Kate, aka Big Red Beetle, is a beautiful, 7½-year-old red fawn female born August 26, 2002. Her sire is Seegold Big Red and her dam is Beetle, making her grand sire the late, famous Molotov. Kate has no races to her credit on Greyhound-data.com. 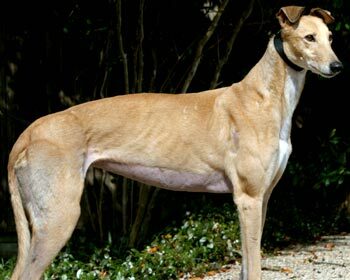 Kate came to GALT’s family just after she had a growth removed from her thyroid that was described as a carcinoma. She healed up without any complications, and she is has been thoroughly tested. As of January 20, 2010, there is absolutely no indication of any reoccurrence. Her thyroid tests normal, and her chest x-ray is completely clear. 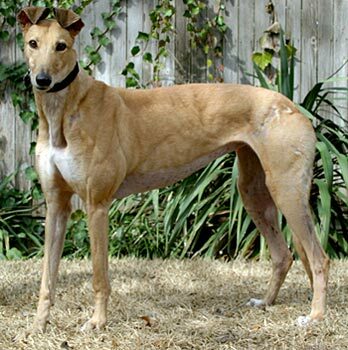 Kate deserves to find her forever home just as much as any greyhound. She will have to be monitored for any warning signs, of course, for the rest of her life. 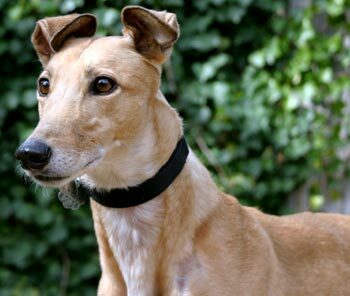 Kate is a very, very sweet and affectionate greyhound. She is not small animal or cat tolerant.